Job unemployment in Nigeria has driven many University graduates to different demeaning jobs, but this young man stands out due to the kind of job he took to just to survive. 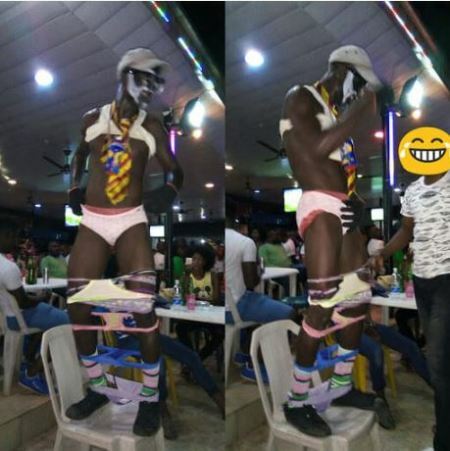 Read as shared by an online user: “I usually hang out in this nice bar in Lagos, and this young man always comes around in the evening, perform for customers chilling in the bar till late night. “I don’t think he receives payment from the bar management, I didn’t bother to ask anyway. But, I did get to talk to him, and he reveals he is a graduate, but since he couldn’t find any job, he decided to do this.